The year 2018 marks the 10-year anniversary for Apple App store and Android. The last decade has witnessed tremendous action, constant updates, rave reviews, millions of downloads, and much more. By the end of 2017 the iOS App Store and Google Play had more than 2 million and more than 3.5 million apps. Mobile Applications are one of the fastest and continuously updated software for the end-users, hence it needs constant testing and deployment. 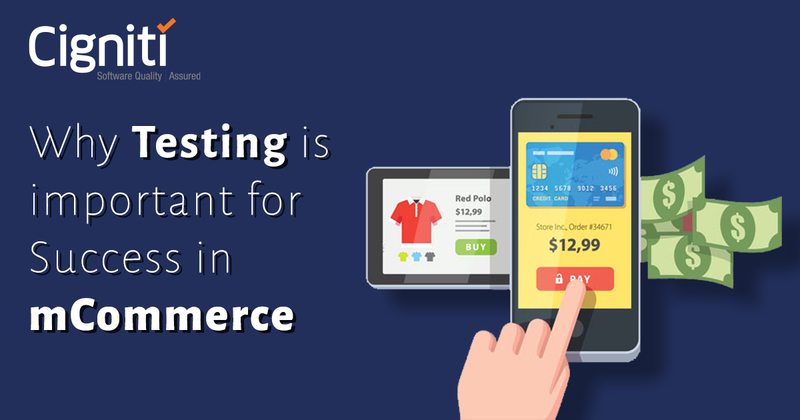 Hence, Mobile Test Automation and Mobile Testing adds major business value for enterprises. A lot happens around and is betted on Mobile Applications. At an enterprises level, it could be for incurring profits or managing organizational activities. At a consumer level, it could be for smooth application usage and enhanced experience. Mobile Applications need to get highly innovative, but stay secure and simple to derive the expected consumer behaviour. This makes Mobile Automation Testing a key step in the Development and Testing cycle. At the same time, the challenges around Mobile Application Testing are massive. 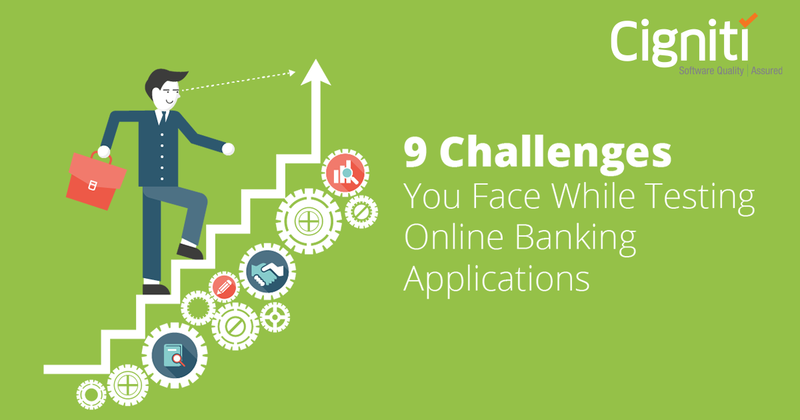 These applications need to ensure seamless experience and robust security measures for sensitive data as well. Automation enables teams to bring down the testing efforts and also pace up the testing activity. It is equally important to strategize Mobile Automation Testing and not just implement a tool for the same. Considering that Mobile Application Testing and Development platforms get updated constantly, it is imperative to keep up with the trending updates. In this article we look at the top or the key trends in Mobile Test Automation that will create an impact on Mobile Application Testing in 2018. Numerous mobile Applications get released every day with varying objectives and for diverse range of users. At the same time, there are constant updates that keep happening regularly to make the experience better and meatier. However, development and testing teams have to deal with this pressure. Test Automation is a crucial decision that application developers take to make things happen. Going forward, what you can expect is, release cycles will get shorter, which will lead to tighter testing schedules. The complexity at which the mobile application environment is operating, the time to write stable test code will reduce and the code will run simultaneously on the mobile platforms. Hence, there will be less time to write and integrate the tests within the framework. The consumer market is flooded with new handsets of varying configurations, loaded with different Operating Systems, and screens with dissimilar dimensions. This trend is only going to increase over a period of time, which will make testing more and more tricky and challenging. Test Automation strategy and frameworks will have to get designed to make mobile applications responsive and secure across any and every device. Continuous innovation is needed for constant growth, which is impossible without Continuous Testing across Test Automation platforms. It will help teams to check for defects and issues way ahead in the testing cycle. Automation Test Maintenance will further help to reveal fresh defects with the application. With growing Cybersecurity threats and rising complexity of applications, organizations will need enhanced test coverage for their enterprise application suite. It will be a major struggle to strategize automation processes and build the required framework. Whether you adopt a licensed tool or leverage an open source platform, it has to offer higher test coverage, addressing every issue with the application. Moreover, new technologies such as chatbots, Artificial Intelligence, and Virtual Reality will get clubbed within the application. Test Automation will be needed to ensure their functionality and test the application repeatedly under varying circumstances for deriving the desired outcome. As the testing challenges spike up, the need to leverage a stable testing platform with testing frameworks, a range of mobile devices, emulators, and desktop browsers will only increase. This will help bring down the inconsistencies in the testing environment and achieve higher test coverage for the application. It will further help reduce the turnaround time and ensure quality. Moreover, Automation frameworks can also be updated and enhanced consistently within such an evolved set-up. Mobile Test Automation cannot be totally productive with quality blind spots. The automation process will need more visibility, as testing these applications will get further complicated. The tools leveraged for Mobile Test Automation will have to provide complete visibility for every quality metrics. This will help teams to get a recap for every test and every issue. Additionally, the testing framework only grows and gets upgraded, hence, testers can go back and check the test data for the required update on the code. Factors such as time taken, failure rates, and many testing related queries can be easily handled. This will further enhance transparency and teams will get more attentive and responsive. Mobile Applications segment is one of the most promising zones in the consumer IT section. According to the recently updated Worldwide Semiannual Mobility Spending Guide from International Data Corporation (IDC), ‘Worldwide spending on mobility solutions is forecast to reach $1.72 trillion in 2021.’ New technologies are getting embedded within these applications, which is posing challenges in testing and development. This will generate added load on Test Automation strategies to deliver applications that not only provide enhanced experience, but also stay robust under any load or unforeseen circumstances. On similar lines, Digital Transformation is changing consumer preferences and the overall application development scenario. Automation will not only be an enabler, but also a savior for development and testing teams across challenging situations. Cigniti’s Mobile Testing CoE provides access to a wide range of testing services, tools, and mobile device lab. Cigniti’s Mobile Testing experts have strong expertise in testing various mobile apps – native, web, and hybrid, and keep themselves abreast with the latest methodologies, mind maps, and checklists based on platform updates. Connect with us to leverage over 6 years of experience in mobile testing for diverse domains such as Banking, Insurance, Travel and Retail leveraging leading industry tools and best practices. 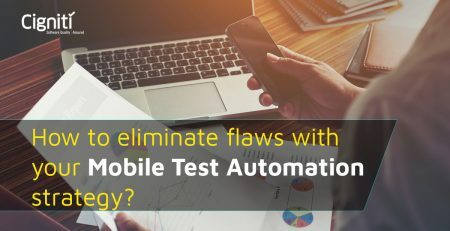 How to eliminate flaws with your Mobile Test Automation strategy?